Nafiz Modack, the alleged ring leader, and three others are accused of extorting the Grand Cafe, demanding R90,000 for security services in November 2017. Nafiz Modack, pictured wearing a white shirt, is surrounded by security personnel outside the Cape Town Regional Court on 16 April 2019. Picture: Shamiela Fisher/EWN. 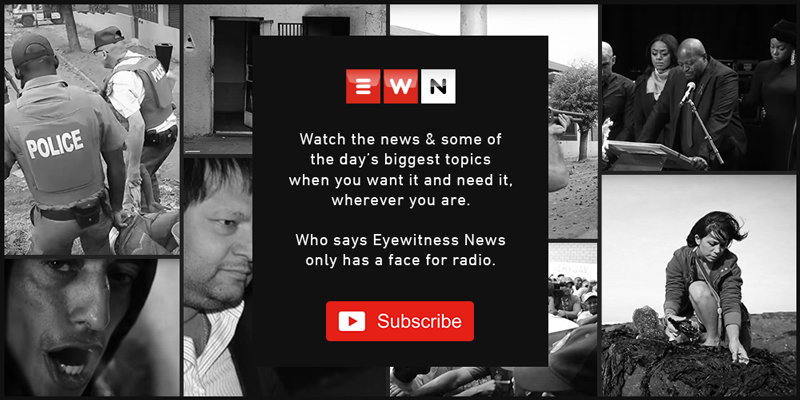 CAPE TOWN - A key witness in the case against an alleged protection racket in Cape Town says he approached a rival faction because he believed his life was in danger. It’s alleged the group was taking over security from a faction led by Mark Lifman. Radley Dijkers, who was the brand manager at the Grande Cafe, on Tuesday was cross-examined by the defence. Dijkers was asked why he contacted Lifman shortly after the accused were arrested in December 2017. He insisted he did this due to safety concerns. Dijkers said he reluctantly met with Lifman because he wanted the details of a private security service he used. Dijkers also testified to having last year accompanied his general manager at a meeting with affiliates of Lifman, Andre Naude and alleged gang boss Jerome Donkie Booysen who the witness said wanted to provide the restaurant with security. He said the offer was refused. The defence said Modack and his co-accused believe the anti-gang unit was trying to fix charges against them and the Lifman meetings raised suspicions that there was a conspiracy against them. Dijkers denied this, adding he only reached out to Lifman after a man came to the Grand Cafe looking for him the day after the accused were arrested. He said the man supposedly wanted him to retract the statement he had made to police regarding the alleged extortion.